In forecasting the UK’s wave pool future, yes, we know Bristol, Edinburgh and London are getting Wavegarden Coves and Wales already has Snowdonia’s Lagoon technology, but how do these locations mesh with the actual surfer population? We’ve just discovered that these wave pool hot spots are where the density of beginning and improving surfers is highest. How? More than a thousand UK surfers responded to a recent UK Pro Surfing Association online pole. The UKPSA promotes British surfers with a full-fledged domestic tour — including a wave pool event at Snowdonia Adventure Parc — and supports a handful of full-time pros. They used the results of the poll to produce the visually impressive “heat map” graphic you see. We decided to interview the person behind the survey, UKPSA Operations Director Biff Lancaster (who is apparently a bit of a data geek) to find out more about the correlation between wave pools and where UK surfers live. What surprised you about the pole’s findings? 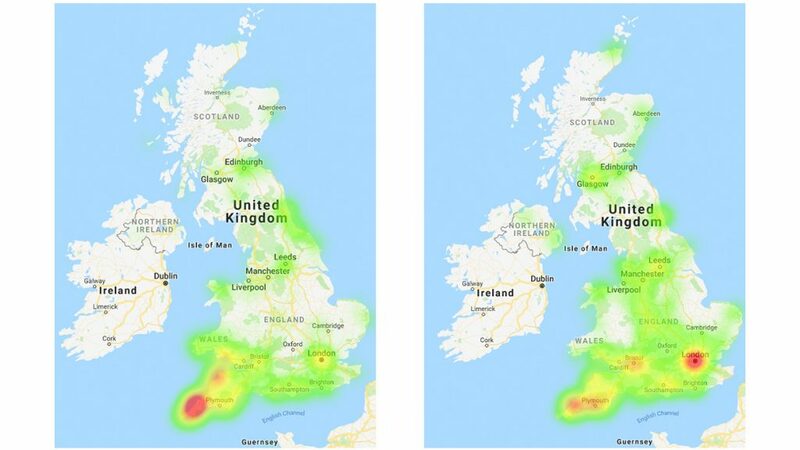 The ‘heat maps’ have been particularly interesting. Rather than simply producing a report of our findings, we decided to build our own data analytics tool. This allows us to query the database in a number of ways and produce location based data in the form of heat maps. So, for example, we compared the locations of advanced/expert surfers with beginner/intermediates and found a distinct correlation between location (distance from the ocean) and ability levels. This may seem obvious, but the patterns which were produced can identify particular hotspots for wave park developments and we have passed on this data to a number of developers who are using it in planning applications etc. What role will wave pools play in the future of UK surfing? Wave pools will change surfing in the UK dramatically. The biggest barrier to progression in British surfing is lack of consistently good quality waves to practice on. From a competitive stand point, it solves a number of issues for us. We can schedule in events without having to worry about forecast, it creates a level playing field with the rest of the world and will lead to more progression and inevitably more competitions. It also gives us more opportunities for revenue streams. 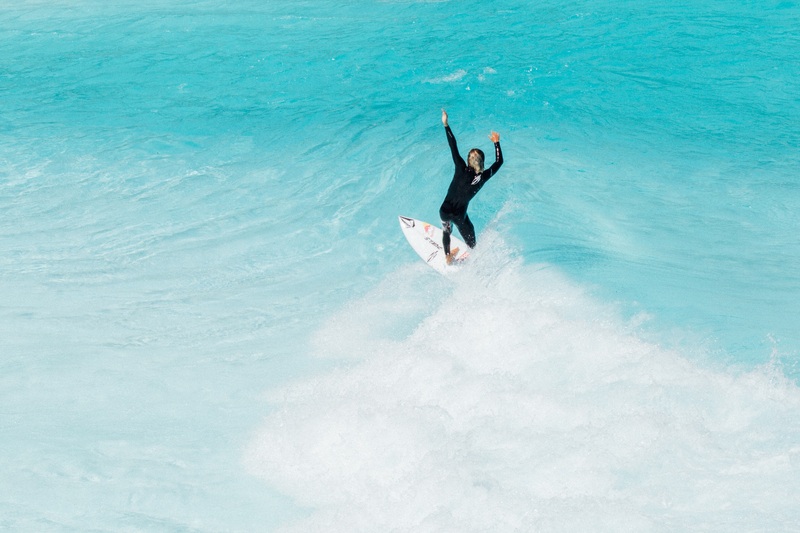 With wave parks we can better control the venue and create ticketed events and offer corporate hospitality, similar to that seen in sports like football and motorsport. Effectively, we can turn surfing into a stadium sport. This is win-win for us and for the wave park developers. Looking into your crystal ball, what does this poll foretell for UK surfing? With the advent of multiple wave parks evenly spread across the UK and focused around population densities, our traditional stereotype of a British surfer will change. There will still be a place for camp fires on the beach and the outdoor adventure image of surfing, but I think we will see a shift in the type of surfer progressing to advanced levels of ability. We’ll see an influx of surfers who will be city dwellers with good, well paid jobs and plenty of disposable income and who can schedule surfing into their daily lives the same way they currently do with golf or tennis. Who knows, future British surf champions may be from London or Birmingham, rather than Cornwall. Brands need to be prepared for this new type of surfer in the UK. 1321 UK surfers responded to the pole. 85% are male and 15% female. 84% are evenly spread through ages 16-45. 56% live within 30 miles of the beach. 20% live more than 100 miles from the beach. 44% are advanced surfers and 31% intermediate. 21% are beginners and improvers make up 21% of those polled.